Machine learning is a fascinating and powerful field of study filled with algorithms and data. The thing is, there are so many different types of people interested in machine learning, and each has different needs. It is important to understand what it is you want from machine learning and to tailor your self-study to those needs. If you don’t, you could very easily go down the rabbit hole and get lost, lose interest and not get what you’re looking for. In this post you will discover the 10 main groups of people interested in machine learning. I call them machine learning tribes. You will discover the general needs and the types of resources that each tribe will find most valuable. Importantly, you can review the 10 tribes and discover where you fit, find comfort that there are other people like you and get an idea of what your next steps could be. Where do you fit? Leave a comment and let me know. You’re interested in machine learning. You ask around and a specific course or book is recommended. A few hours in, you get frustrated but you’re not sure why. It’s because the resource you picked up is great, it just might not be great for your specific circumstance. This is a common problem and I call it the problem of mismatch. A classic example is a developer interested in working through a one-off problem. They are recommended a machine learning textbook. They purchase it, start reading and never make it past the first chapter. A textbook is perfect for a student in a graduate machine learning class with 4 years of math class in their recent past. It is next to useless for a developer, 10 years into their career looking at machine learning as a tool to deliver a result. This is why it is critical to know about the different groups interested in machine learning and to which group you belong. So that you can find other people like you and start using the resources that will actually help you get the solution you’re after. In this section we lay out 10 different groups of people interested in machine learning. I’ve given each name, highlighted their main goals and interests and listed resources that people in that group can use in their next steps. I’ve also grouped the groups by general theme such as business, academic, engineering and data. There may be some overlap in the groups. It is also possible that you belong to one or more of them. That’s fine (and I’d love to hear about it in the comments). Also, we are constraining our interest here to machine learning, not all of data science, which is broader. Generally, these are people interested in harnessing machine learning effectively in their organization, but not necessarily interested in the nuts and bolts of algorithms or tools. Business people might use terms like business intelligence or predictive analytics, both of which are more general fields that may make use of machine learning techniques. This may be anyone from an executive to a consultant who has heard about machine learning and is looking to make use of it strategically, perhaps in upcoming projects or initiatives. I would also recommend the books in the next section for “Managers“. Gartner Magic Quadrant for Advanced Analytics Platforms Taken from Gartner, all rights reserved. This is a project manager or similar leadership position on a project in which machine learning is being used. It may be a niche feature of the project or core to the project. Resources that would be useful would be high-level perspectives on the field that relate various classes of problem and algorithm without going into too much detail. Generally, these are people interested in machine learning from an academic perspective. They may be students (undergraduate or postgraduate) or otherwise associated with a university. Additional examples are post-docs, research associates and lectures of various sorts. Academic tribes may spend a lot of time researching a specific machine learning algorithm in research papers. You can learn more about researching algorithms in the post “How to Research a Machine Learning Algorithm“. A machine learning student is very likely taking a class and interested in hyper-specific questions related to techniques and algorithms. A machine learning researcher is interested in a deep understanding of one aspect of machine learning to the point of making a minor addition to extend the field. A researcher is interested in research papers, journals and the organizations and networking that go along with them. Textbooks don’t cut it, they’re secondary sources and out of date. Checkout the great answers to the Quora question “What are the best conferences and journals about machine learning?“. Here’s a handy list of the top 50 ranked journals in Artificial Intelligence. A general researcher may be interested in machine learning, but as a tool. They are most likely interested in building a descriptive or predictive model using their own data. For example, a scientist from the field of client research, geology, or biology has their own dataset and is looking to create a model in order to make predictions and/or better understand the underlying problem. They are often less interested in model accuracy and more interested in model explainability. Therefore, simpler well understood methods borrowed from statistics are preferred, such as linear regression and logistic regression. Nevertheless, good systematic process is desired. I would recommend the resources under the “Engineering Tribes“, specifically,”Developer Interested in Delivering One-Off Predictions“. Also take a look at the “Data Scientist” group under “Data Tribes“. Generally, a group of developers that are used to delivering solutions to problems with software and want to incorporate machine learning. A good general post I recommend for engineers looking to get into machine learning is “Machine Learning for Programmers“. Engineer Tribes can get a lot of help and support in machine learning communities like those on Q&A sites. For more information, checkout the post “Machine Learning Communities“. An excellent way for a programmer to develop skills in machine learning is to use their existing programming skills and implement machine learning algorithms from scratch. I talk a lot about this approach and give good tips and resources in my blog post “Understand Machine Learning Algorithms By Implementing Them From Scratch“. A developer is not necessarily a great programmer, and programming is not required to develop and deliver an accurate and reliable predictive model. 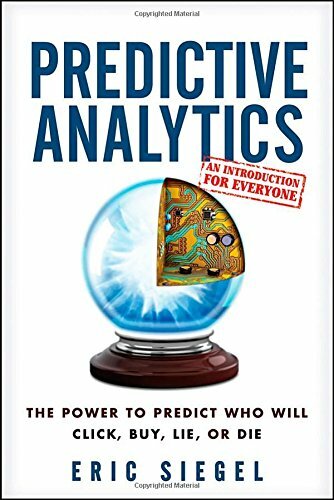 A one-off predictive model may be required in a business environment for the set of predictions it can provide. It is also a powerful model for self-stud, for working through practice datasets and even machine learning competitions. You can learn a lot by working systematically through a process on a problem and delivering a standalone model. Checkout my systematic process for working a machine learning problem end-to-end in the post “Process for working through Machine Learning Problems“. An engineer interested in adding machine learning to their software project requires some knowledge of the algorithms, some knowledge of how to work problems end-to-end and knowledge for how to get the algorithm running reliably in an operational environment. This group of people grow from the previous two groups described and might best be described as a machine learning engineer. They look to use fast algorithms that deliver reliable and accurate results, balancing these concerns. This group also makes heavy use of machine learning libraries and infrastructure. Also, checkout the post “Building a Production Machine Learning Infrastructure“. Generally, this are groups of people that primarily are in data roles but may need to make use of machine learning. The learning does not stop when you’re a data scientist. You must stay on top of the latest data flows, techniques and algorithms. This includes the machine learning techniques that you need to describe data and create predictive models. The data scientist can take what they need from the more applied resources listed under “Engineering Tribes“, as well as the more theoretical resources listed under “Academic Tribes“. Data analysts are primarily interested in explaining data in the context of business interests. Sometimes machine learning algorithms are useful for providing more powerful models. Mostly descriptive models, but also sometimes predictive. Like the group “General Researcher“, this group likely has a good foundation in statistics and statistical inference. Also, given that they are most likely interested in a descriptive model, classical methods like linear and logistic regression may be sufficient. Explainability over accuracy in the resulting model. Many of the same resources above would be useful, although perhaps with more of a statistical inference stance. In this post you discovered 10 different groups of people interested in machine learning. Your action step is to review the list and figure out where you belong. Which group is your tribe? Leave a comment below and let me know. Thanks Susan, I wonder if a text like “The Elements of Statistical Learning” would be a good place to start for you? This is excellent! Very well thought out and communicated. Thank you for all the resources as well! I am in Group-8 – machine learning engineer. That would be a great job title. Thank you, Jason, this is really awesome! I’m a programmer, I think group 8 fit me well, and for my business, group 9 will help a lot, any advice? btw, can I translate your blog to Chinese and post to my blog? It definitely will help a lot of people, and I will keep your original link for sure. Rather than translate, why not start your own blog and share your machine learning journey!? Great way to start my ml learning. Really useful to identify yourselves as one of the mentioned tribes. I’m 8! Thanks Jason. I belong to Tribe-2. But would want to build deep knowledge in Machine learning in next couple of months by implementing/using some of the algorithms. So on the journey of trying few algorithms and learning Python and R now. Your post is very useful. Thanks a lot. Im a guy in South Africa and would like to get into machine learning. I do not have an IT background. Is there space in the area of learning for someon with no IT background to develop a career in the field? And what areas can one get into if one gets into business as a ml consultant? Excellent Jason! We are a start up on advanced analytics and all of us follow your blog and waiting with lot of interest your mail. Thanks Jason! I’m in Group 8, but often find myself in Group 3. I am currently entering grad school, and looking forward to taking some courses. More importantly, for my tribe (8), learning ML algorithms and reading papers is a means to an end (building cool things). I’ve found that keeping the end in mind, and being given room to tinker (break things quickly) prevents frustration or boredom. Jason, this is a fantastic concept! I’m preparing a presentation on instructional design as part of interviewing for IBM Watson Health (keep your fingers crossed for me). To discuss my design process (quite similar to UI design process) I need a context and machine learning seems a good fit. But of course it’s a hugely complex topic and I’m not a programmer, so it’s like pulling a rabbit out of a hat to put together a *very* simple, but accurate story. Your mind map is perfect. I’ll be sure to include a reference to your website in my discussion. Congrats on teaching a maths-avoidant, right-brained baby-boomer mom the basics! Cheers from Boston, MA. I belongs to groups 6, 7, and 8. I’m a bit of the 3 major groups. I’d pick 1, 5, and 10. I belong to 8…try hard to move into 4 & 5…hope someone accepts me as their student!! I’m definitely in one of the Engineering tribes. As I’m just getting started, I’m probably place myself in Group 6. But I hope to continue growing my knowledge and gain deeper and deeper understanding in machine learning. Maybe a quick visualisation of feedback received would be good Jason, just a pie chart as feedback comes in, see who everyone identifies with the most! I’m in group 9. I am already familiar with many ML approaches but want to have a deeper understanding in order to support my product better. The assumptions (both statistical and practical) of each model plays a crucial part of the decision on which model to invest. Are there any additional resources besides the three books that people like me would fine relevant? I hope I gave enough information. Thanks for the site! It’s excellent! I somehow don’t belong to any of the tribe. Because, I am trying to make a career change. I do have an engineering background and with it comes the mathematics background. Also, I have some experience in python (mostly through online courses). Can you help me understand where I belong and how i can proceed? p.s. I am doing Machine Learning course offered by University of Washington on Coursera. Thanks, looking forward to learning from you. Think about why you want to learn machine learning and what you want to be able to do with the skill. Focus on where you want to be and then associate with that tribe. Thanks that would help! Just love this site! 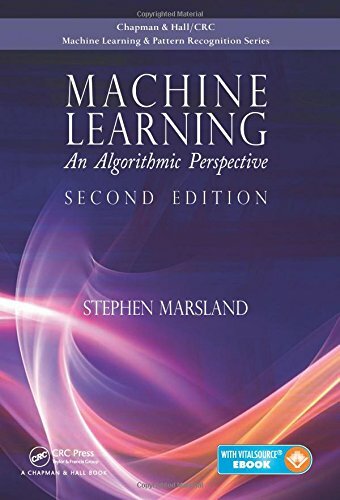 Any book or textbook you recommend for someone that is curious about machine learning. But is just exploring or testing the waters right now? Nice, I am in groups 3 and 8! I am currently an Undergraduate Student, and I desire to develop production machine learning infrastructures, as well as go a bit more in-depth through various textbooks. Graduate Student just starting out with Machine Learning! Learning more and more about this field and preparing myself to dive into it. Wish me luck! How far have you gone into ML? I think I am in the same position as you and looking for someone to develop with. I am free to share and discuss if you are still in the ML pathway. Thank you for the wonderful post. You always provide context in an area that is so vast that it is easy to get lost, become disillusioned and quit. Keep it up. I bought your bundle on ML and the ebooks are great. Thanks for your kind words and your support Paul, I really appreciate it! Hey man! Which category would i fit into if I want to apply machine learning to stuff like poker and board games? Or maybe trying to use it in the stock market? Which book/course/path would you recommend to such a person? Thanks Steve, it’s great to have you here. Thanks for all the info in this post! Helps me focus my efforts to build expertise a lot. I think I’m mostly an 8 with some 6 & 1 thrown in there as well but have been a little off track by struggling through the mathematical theory. Wondering if you know of any good online communities for #8?? To some extent this site. The IOT guys are very interested in using time series effectively in their apps – good guys to talk to. To a lower degree, some of the AI game devs communities are good to talk to. It is lonely. When I was building predictive models for operational use, the best guys to talk to were subject matter experts. I’m a statistician and looking for a data analyst position. So I think Groups 9 and 10 are a better fit for me. It was really an awesome post for people who is striving to learn machine learning. But in my case, i am a last year student in instrumentation engineering and i want to do a good project in machine learning using R. So is it possible to do a good project in 2 months which will really help my cv to showcase my skills. And Thanks a lot for what you are writing, because it really helped to know it in deeper way. Thanx for your support Jason. I’m here to help if I can! I belong to the 3rd category. It has been very challenging its definitely worth it. Thanks Precious, it’s great to have you here! I feel like I’m all over the place! I’m a developer-turned-manager responsible for everything related to databases at my workplace. I still like to program though. So I think I’m a 1 since I think we could use machine learning to do some predictions based on our data but I’m definitely a 6 and 7 as well. Have a lot to learn but that will be part of the challenge! I very much relate to your experience. Feels like drinking out of a firehose. I would say I’m a 1, 6, 7 as well. Thank you Jason for your informative and extremely helpful emails. Take it slow, pick one area, one tool, one problem type. Slowly develop a portfolio to build confidence. There’s no rush, applied machine learning is a long-term pursuit. A very informative post. Many thanks. I think I am a 5, 6 , 7. I am only beginning to understand the ML general overview. I have successfully installed Python and Anaconda set of tools, and tested Ok using a long code I copied and pasted. Results look great as expected. It is very useful jason. I am in the group 9. I fall into Engineering Tribe and I am in the group 8. I have really liked all your articles about machine learning. This one is one of the best though. Really makes my interests more clear. Although, I am still undecided which of these categories I belong to. I am still an undergraduate student but I am greatly interested in learning more in detail about machine learning and applying it in the future in the field of artificial intelligence and hopefully one day try to develop new AI softwares to help the world simplying their tasks. Can you tell me which category you would classify that interest as. Also, I would love it if you could guide me in how to go about learning and developing machine learning skills. I have so far only done some basic java programming but nothing to do with machine learning yet. I would suggest focusing on learning how to work through problems and deliver a result. I’m a professional software engineer, but my goals for machine learning as VERY far from my day job. I love statistics, numbers, and deriving information from data, but I don’t have a math degree and wouldn’t dare calling myself a Data Analyst. I want to build systems, but the application to build around doesn’t exist yet. The artificial intelligence aspect is the main in most of those designs. Here’s my goal: machine learning and data analysis for AIs for robots and chat bots. Also, learning “without the math” doesn’t appeal to me. It’s great if something works, but being incompetent without a tool or library feels like a bad idea to me. Perhaps ML Mastery is not the best place for you? any resources for building AI / ML powered robots Jason ? I feel 8) Engineer Interested In Developing Smarter Software And Services will fit for robotics. What do you say ? Sorry, I don’t have advice about robots. Perhaps start with small table top examples? So i was wondering do I go back and learn Python completely before attempting ML? No need, you can learn machine learning with your preferred programming language. I focus on Python and R on my blog because they are popular. Most of the production ML I have built runs in FORTRAN and Java. No idea, it was a random creative commons photo. I do not mean to offend in any way at all. I am in group 3. Hoping to learn something interesting and creating something cool while doing my UG. Thanks Saugat, it’s great to have you here. Appreciate this. Give clarity and focus for those who are about to start the “journey”. This is a great practical guide. I thought there might be also classification based on applications that can overlay on top of your guide. For example, chatbot for eCommerce is a single purpose development but it involves the currently evolving research in end-to-end neural network, that generally would be best worked by new or recent PhD’s interested in research. This is true with machine vision for self-driving cars that utilizes complex neural networks. Jason – I enjoy your blog-posts, and this one is awesome. Thanks for the matching resources (well thought out). I am in Tribe 2 and 8. I guess in today’s world, one has to straddle categories. Thanks and keep up the good work. I feel like I am in group 6 an well as group 10. Can these two groups go hand in hand? I read your post, and thought about the tribe that I’d be most comfortable in. Unfortunately, I haven’t been able to decide where I belong. I do wish to pursue ML, but I never thought that ML will be such a big umbrella. Honestly, I’m a bit overwhelmed. I need some time. 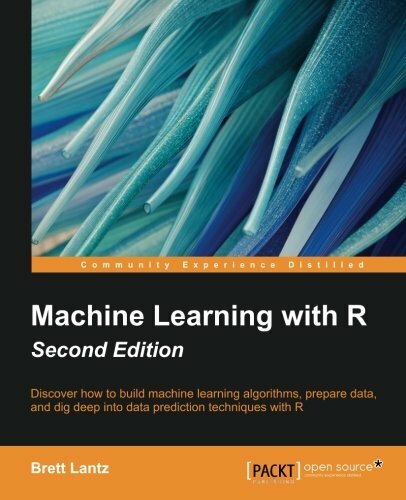 I’m hoping that you can recommend some general, non-specific, ML books that I can get started with and then study about a topic that catches my eye, in detail. Are there any texts/resources that every ML student must read? If so, then I’d be grateful if you could tell me about them. At least this way, I’d get into the learning part, without allotting way too much time to just picking out resources. Start small and figure it out along the way, like the rest of life. I am a software tester, so as per my understanding i will not belong to any tribe. but i want to learn ML. so how do i start? Group 9. Many hours of frustration-meandering-wallowing. Your work is like a well-rested bright clear morning. Simple complete succession of English statements containing the ideas is the most difficult to find. If I understand the idea, I can figure out the implementation. Instead practitioners are tying to learn themselves with incomplete explanations and academicians are ardently explaining in absence of any context. Once self-identified, where does one find tribe-centric material, conversations, best practices? Well, most of the material out there is for academics and researchers. There are some practitioner type material like this blog and some O’Reilly type books. My proposal is that once you know what you want/where you fit, that you can use that as a filter to help choose what material will get you closer to your goal. Amazing post!! This is probably what I was looking for to give my endeavors the correct direction…I belong to the second tribe, and it’s great to know that I’m not alone! Thanks Rohan. You are not alone! I was wondering how much Data Structures and Algorithms do I need to know if I mainly want to focus on the Machine Learning or Deep Learning aspect of personal software projects. Say, if I want to build a Django website that uses ML algorithms to function. A deeper understanding of algorithms and data structures will help you better understand how algorithms work and how to use them more effectively, but it is not required when getting started. You do not need to be a mechanic to dive a car. I am a systems administrator trying to make a career shift to Machine Learning. But, I don’t fit into any of the tribes that you have listed. I have no prior experience in programming but i have started learning Python on my own. I think I want to belong to tribe 8 (Engineer Interested In Developing Smarter Software And Services) which requires lot of ground work. But like you have mentioned in your posts, I will take a leap and see where this goes. BTW, Your posts are awesome. Thank you so much for the methodical segregation of tribes. Am Narendra. Currently am a computer engineer with little algorithm and data structures background, presently working as a software tester, my long term aspiration is to understand machine learning and be working in the field of machine learning (in another 1 or 2 years). Will i be a better fit in tribe 6 or tribe 3 to get started ? I would recommend starting where you feel most comfortable. without any real business goals other than profit. I’ve hopped away from that start-up mentality and am in a more mature company though still in more of a research style role though often with well defined business objectives. Thanks Chad. Hang in there! I am interested in the Academic Tribe but I can’t afford the books. Does Someone has some electronic books to send? Thanks for giving such a nice categorization! I belong to Tribe 8. Hi Jason, this article was enlightening, thank you! I’m studying Data Science and as I’m looking for positions in this field I encounter some confusion with the terminologies being used. As I’m in entry level, in this field, the ones that I find it more confusing are those where in the job description you see that there is not much infrastructure for the work of the data science its more like, ” We have data, come and find important insights”. However, for machine learning engineer positions its better established challenges. As I used to work with Organizational Network Analysis its clear to me the gap between IT and Business Units in some corporations where IT is treated more like a support role, than strategic. I would like to here your thought on that and with you have any tips on how to be more assertive in the job search. Best to you! Sorry, I don’t have good general advice for job searching. Generally, for entry-level roles, I see that if you can turn up with a strong portfolio of completed projects (showing you know how to work through problems end to end on your own), that this is more variable than showing you have completed MOOC courses and such. I can associate closely with group (8), my inhibitions are however programming prowess and I probably need to work on becoming a better programmer. I do think I have an end-to-end vision and would like to learn to apply ML to industry problems in telecommunications or connected devices or such. As of now I dont have a clear picture of where and how ML can be applied. I am able to connect myself with 3rd, 6th & 8th tribe. 6 and 7, aiming to reach 8 at some point. 6 and 7 because I’m an engineer and I want to know how to code algorithms but not so deeply, I’d be more interested in making predictions. I want to be in 8th group after becoming better in 7, because as you said logically the 8th comes from 6 and 7. I think I fall into Engineering tribe (7 and 8) but looking forward to get into Data Tribe 9 . This is great stuff Jason. This and previous post on “Why Get Into Machine Learning?” has started opening my mind about some things I have been probably missing. Particularly around letting people know about my knowledge and skills into this field and expertise I can offer. I see myself strongly in Data Tribes. Primarily into group 9 “Data Scientist interested in getting better answers to business questions” with good overlap in group 10 “Data analyst interested in better explaining data” too. I’m in group 8! This is a really good article, Jason. Thank you very much for your time and dedication. Your blog is awesome! Off topic: I enjoy looking at Gartner’s Hype charts and Magic Quadrants, and use them in my writing. About Magic Quadrant, I find it difficult to interpret which block a company should be. That is, which block is good or bad. To me, all blocks look good. For example, Revolution Analytics is in Niche Players, which seems pretty good to me. However, it is not in Challengers. Won’t a niche player challenging the status quo. Similarly, Microsoft is in the Visionary quadrant but not a leader. They seem synonymous to me. I am in group 8, 9 and 10. Wonder how can I find the relevant communities, forums etc.? Separately, where would you put Kaggle-lers? I belong to the category of Engineering Tribe. My interest is an intersection of 6,7,8 categories. The Best Article for ML Beginners. Categorization of Machine Learning Tribes is very useful and informative. What is the role of Quality Analyst in Machine learning platform? Is it a good idea to take Machine learning as next step in career being a QA? I don’t know. Good question. Business and Data groups. I will start with learning the basics of Phyton and R (and a bit of SQL), and will take it from there. Also, need to finish all the steps in your email tutorials. Btw, those are great. Thank you! I’m in groups 6, 7, and 8. Jason: I belong to tribe 1,2 or 9,10. as I am interested in understanding what business problems can machine learning solve, specific to retail (FMCG) or Healthcare industries. Great analysis. Know your student and/or customer is the first step to teaching or business success. I would just add that there is often a difference between NLP and quantitative data that may make or break finding a tribe. Working on similar datasets seems critical to the experience and ability to give tips to others. I am in Group 3, who is determined to self-teaching ML with a weak Math background and interested to go to the Groups 4 & 8. Thanks for doing this great blog, Dr Brownlee. I fall in Data tribes..
As usual great analysis (categorization, right?) on the different tribes. Since I have an intense SWE background I would probably be a 6 or 8. Please keep up the good work! It’s evident you’ve spent quite a bit of effort in your tutorials and blogs, and they are making a big difference for me. I am a software engineer, working on my ways to provide software solution in the finance field. I think I will definitely belong to either 6th or 8th tribe. Your blog is one of the best ways to learn machine learning for people of having full-time jobs without getting overwhelmed by theoretical knowledge…Thanks a lot…Keep it up. I would like to implement the algorithms with programming. So i am on 6th tribe. Thanks Jason for classification. I want to do research in the field of AI. I have math and statistics background but not many ML application experience. Should I go straight to the papers and journals or should I try practicing more first? It depends on your goals Leo. If you want to add value in business, focus on working through predictive modeling problems and delivering a result. This is so great. This classification helped me to focus on my intrest only. This is highly recommended. I’m in the academics group. I think I belong to 4 and 5, as I’m an undergraduate instrested in learning Machine learning. I’m in group 4 and 5, but with 10 years stopped in this line of research. Your post is very usefull for me, I’m mechatronics engenear, I want to make about robot so I think that I’m belong to group 6, right? I want to make robot auto find the fast road to goal, If I only read the books belong to group 6, can I make that robot? Sorry, I don’t know about robots. I belong to group 6 and 8. Thanks for the lovely blog. It really gave me a good overall picture. I’m a software engineer with 8+ years of experience, but got fascinated by Machine Learning/Data Science very recently. I feel like I fall into group 6, but will be happy if you confirm my choice. I’d be glad to get your assistance on how to go about achieving my goals. Amazing classification. Came across ML through some friends, with 15 years of experience in linux, I belong to group 8. Where should i start if i were to use Python? It is important to focus on the features of the software/service and to treat the ml project as a sub-project, not the main project. The difficutly is because the ml project is ill-posed it is essentially endless. You need hard deadlines. Thank you very much for this amazing blog, I love your work a lot. I am an electronics engineering student and I want to learn ML to make some solutions. Could you please tell me my tribe. Perhaps pick a tribe that best aligns with your goals. This Really Helped Me In Deciding My Tribe. I just want to ask, Why didn’t you include those who are interested in the Artistic and creative applications of machine learning ? Good question. I guess I’m not familiar with the artistic/creative use of algorithms, sorry. Are you familiar with that side? How does it work exactly? Hello Jason, thank you indeed for this very educating and enlightening post. It has cleared a thick fog about my career path in machine learning. I definitely belong to Tribe 7, aspiring to Tribe 9. I am deeply interested in using machine learning techniques and approaches to generate powerful insights that give businesses a superior competitive edge in the market place. That’s my key motivation for becoming a machine learning practitioner. Your blog has been a veritable companion on this journey. Keep up the good work! I am more close to tribe 8, however I am in pursuit of applying ML or Predictive Analysis in software testing (not web app testing). Any specific pointers that can illuminate my path? Perhaps seek out papers on the topic and get an idea what about the state of the art. I am in tribe 6 and 8.
i am android and ios Developer . and interested in ML . I’m 8 or 10. Excellent Jason. I think I’m 6 or 8. I haven’t dabbled in programming since highschool and it’s been coming back up at my current work that it is something I want to pursue. I just don’t know where to start. I have python but can’t think of where to get started or how to for that matter. Start small, experiment, see what you like – what interests you. Thanks Mr. Jason, for providing such good articles. I believe that I fit in both 6 and 8. I’m going for “Machine Learning in Action” and “Building Machine Learning Systems with Python”. I’m already a programmer and need to expand my knowledge. I tried learning AI before but like what you said in your other article, I got overwhelmed with a lot of information (math, algorithms, languages…) and left the course behind. But trying to get my hands dirty again and this time, just top-down approach and what I need. Also, I am interested on testing AI systems. For example, how to test ASR, NLU and TTS systems that are based on AI. I have Masters in Physics and Bachelors in Electrical engineering. I have worked on verification for very short amount of time, and I did not enjoy it. Due to few pesonal issues I have been out of workforce for last couple of years. I have started machine learning journey because of its potential, work availability and because it excites me ! 9. Data Analytics + Data explanation and novel exploration & intelligence.Images,sound,natural phenomenon, or any wide variety of data about which would teach me new things about world. 10. Data Science + Business- Have to make money and make lives of people better ! 11. General Researcher – On last position because its not in current plan, but definitely in future ! Again, Warmest thanks for your efforts! Thanks, and welcome to the ML Mastery community! I would like to work on improving search engines and recommendation systems. That sounds like a fun area. I’m in none of these tribes. I’m just a high school graduate willing to get into the maze of machine learning without gettting lost. I fall in the Engineering Tribe, specifically in 6 and 8. More of 8. The content is written in a very good manner. It’s looking like I am in a classroom. I am a Mechanical Engineer working in a manufacturing firm. I have no prior experience in machine learning but i do have problems which i think would be solved using ML. What tribe do i belong to ? Perhaps one of the “Engineering Tribes”.